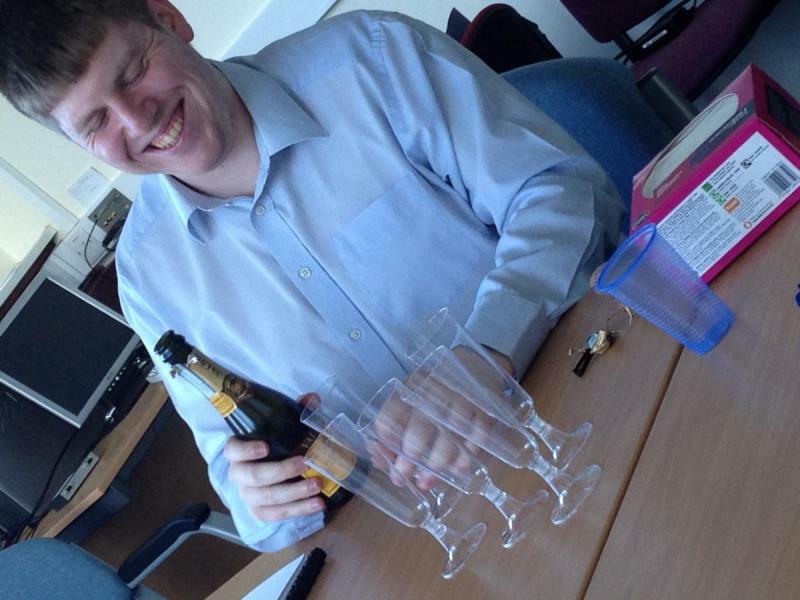 Tom succesfully defend his MRes Viva! Afterwards the group has a small celebration with some drinks and cake. Congratulations Tom.